University of the Virgin Islands nursing student Genevieve Vielbig is creating a wellness program at Clear Blue Sky, a clubhouse devoted to helping people with mental illness. The program coordinates local yoga and aerobics instructors and health professionals who provide classes and checkups to members of the Clear Blue Sky facility at the former Villa Fairview in Charlotte Amalie. Classes will run three times a week for half an hour, but the benefits of learning about diet and exercise, Vielbig hopes, will stay with members for a lifetime. She created the program to fulfill a required "leadership segment" for her bachelor's of science degree in nursing. Vielbig has given fitness assessments to about 24 of the 45 members, taking their weight, waist circumference and blood pressure as baseline indicators. As members make progress toward healthy living and weight management goals, volunteers will measure the indicators on a weekly basis. Vielbig said she chose to work with the mentally ill because they are often "overlooked" and because exercise can benefit them by reducing stress and anxiety. "I just like this group of people. I feel like they are not a focus in the public eye, just like the elderly," Vielbig said. "It's the people who are not focused on who need the most attention." Vielbig said research shows that people with schizophrenia and other psychotic and mood disorders who exercise three times a week for approximately four months lose weight, gain cardiovascular fitness and experience less depression and fewer psychiatric symptoms. Other goals of the program, Vielbig said, are to give members access to activities and knowledge they might not have and inspire them to come to Clear Blue sky and participate in its other programs. "It will give them more of a reason to come to Clear Blue Sky and want to better their lives," Vielbig said. Clear Blue Sky devoted a room to be a wellness center, and the program will be sustained by Clear Blue Sky staff even after Vielbig completes her coursework and graduates in May. The program is scheduled to begin officially March 29, when Vielbig hopes all the equipment will be installed in the wellness room. Antilles School donated an elliptical machine and a treadmill, but Vielbig is still looking for a stationary bike and light equipment such as stability balls and resistance bands. She has been raising money for equipment and is seeking additional private donations. For the last two weeks, instructors have been teaching yoga and aerobics classes, and members have been clamoring for time in the wellness room. Clear Blue Sky director Arlene Monaghan said she is considering doubling the number of classes to make sure all members can participate. Vielbig designed a year-long healthy teaching plan, including mini-lectures on nutrition, weight management and fitness as a gift to the center. She also created an aerobics video to use when instructors are not available, Monaghan said. It is "really wonderful" to have Vielbig create something sustainable and that will not cost Clear Blue Sky any money to implement and maintain, Monaghan said. 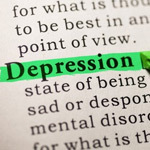 Mental illness, according to Monaghan, often leads to a decline in a person's ability to proactively care for their health. The program also directly addresses some of the concerns of members who are taking psychotropic medications. "The medication often tends to make people sedentary and to make them gain weight, sometimes so much so that people may not want to take their medication. Often people taking medications have problems with blood pressure and sugar, so the exercise and diet components will help them manage that," Monaghan said. To donate money or equipment to the program, contact Vielbig at gv@cbsvi.org. Contact Amanda Norris at 714-9104 or email anorris@dailynews.vi.